We perfected the use of upflush toilets in basement bathrooms. 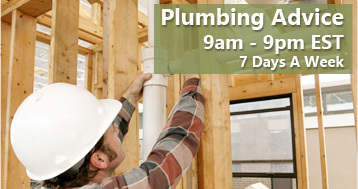 DIYBasementToilets.com is your dedicated resource for installing a basement bathroom. This process is made extremely simple through the use of a macerating toilet, commonly referred to as an upflush toilet. 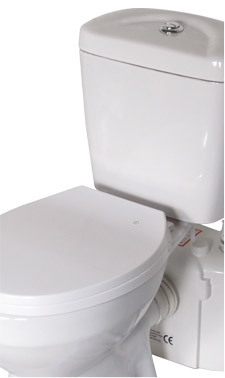 An upflush toilet uses a macerator to allow it to pump waste upwards making it perfect for basement bathrooms. 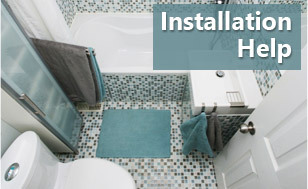 A shower and sink can also be connected to the same macerating toilet to complete your bathroom installation. 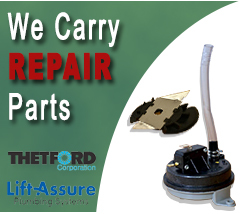 We carry the top brands in macerating toilet systems and also provide the parts and installation support that is the best in the industry. Our technical asssistants have been working with DIY consumers for years helping to create the perfect basement bathrooms. We assist our customers utilizing phone 7 days / week, video tutorials - standard and customized, pdf instructions, and live chat services. We can help you select the ideal upflush toilet for your needs and help you every step of the way in its installation. Shop from our macerating toilets by clicking the "Buy Bathroom System" button near the top left of the page or click here.